The first ever feature film co-production between Japan and the Baltics, shot with the full cooperation of sister cities Kobe, Japan and Riga, Latvia. The film “Magic kimono” is based on the construction of a bridge between two cultures – East (Japan) and the West (Northern Europe). Not only thousands of kilometers divide Japan from Latvia in Northern Europe, but also two different cultures, which the other party is not always so quick and easy to understand, nor afford. Yet some simple things are common between them, too – the way people deal with the loss of their loved ones, and also food – which can facilitate communication without words. For me the goal is to retain the film’s story on a fairytale level – visually, substantively and stylistically. It allows me to create and tell a multi-layered, richer and more colorful story – there is Keiko in a completely and unrealistically empty city in the early morning, and there – in a crowded and bright market. My choices allow the building of a story more based on emotions and a wide range of feelings. 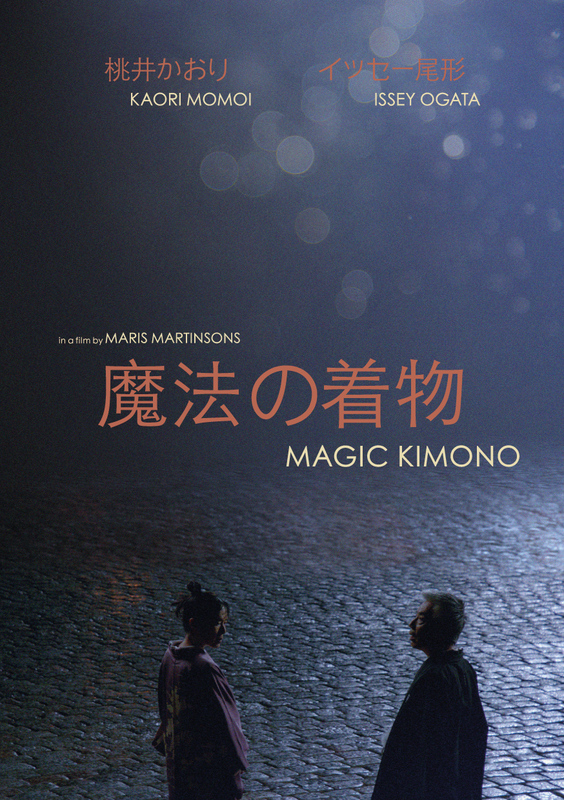 The film “Magic kimono” helps to realize that anything is possible and feasible if you want it for yourself and believe in yourself. A fantastical story about a second chance in love and life. Sixty-something Keiko (Kaori Momoi) has been living in a shell since losing her daughter, and then her husband, decades ago. Unable to move on from the past, the modest act of eating, and the sensations it provides, are the only lifeline Keiko has. She reluctantly joins a group of Japanese women traveling to Northern Europe to participate in a kimono show in the fairytale-like art nouveau world of Riga. During the show, Keiko is suddenly confronted by a man who seems to be her long lost husband (Issey Ogata), who went missing in the Kobe earthquake of 1995. Gripped by confusion and despair, Keiko walks through the city and has chance meetings with people who seem drawn to this curious, kimono-clad woman and her culinary sensibility. Food bridges the language and culture gap, and with her husband at her side once again, Keiko gradually realizes how to have a future with the past.